There is a rule I would ordinarily follow when discussing games as unappreciated gems and this rule is simple, usually I would look back at a game a few years after release to consider exactly how people feel about the game. However, there comes a time where certain self-made rules need to be broken and for my latest unappreciated gems article this is that time, while honestly I have a full list of viable candidates to talk about written in my notebook one newer game has caught my attention. In this case it is Project Zero Maiden of Black Water, the game may have only arrived outside of Japan last October but there have been plenty of reasons why I felt the need to talk about this game. Maiden of Black Water is a Wii U gem but has also been pretty much forgotten and what does this come to, well multiple reasons actually but most important is the fact that it has faded. There are multiple reasons as to why Project Zero Maiden of Black Water would fail, ultimately the game falls into the category of being part of a niche franchise. Also the game arrived on a platform that does not seem so complacent on adult games that aren’t Bayonetta 2, and ultimately does not have the install base to really leave a mark on the world. It is a shame, this is one of those rare games I jumped into knowing next to nothing about and loved, the spooky atmosphere, the story, even to a slightly more limited extent the gameplay, this game is a true gem if ever I have seen one but simply has faded into obscurity. For starting reasons I can’t quite blame the consumers on this one honestly it isn’t their fault, I have already mentioned the Wii U’s low install base this of course means that the audience that would play this game isn’t present. But a glaring issue is the low rate of actual promotion that the game received, unless you follow the Nintendo game market strongly it is honestly likely you would have completely missed or simply forgotten about this game, it’s understandable. For the most part Maiden of Black Water simply floated under the radar, and this is the point that has truly affected it. This particular game saw a varied release, in Europe and Australia the game arrived in two different forms, you could buy it digitally or you could purchase it in a limited edition physical version (the copy I own). In North America however the game released a lot differently, there was no physical copy made available the game was strictly digital only and this meant that the game likely did not get the response that was necessary. Because of its release style Maiden of Black Water was easy to ignore and if you weren’t sure on what the game would offer you why pick it up even despite the games trial demo that it offered surely they didn’t encourage people, they needed more. Despite the game having released in Japan prior to the rest of the world, it still did not help the game achieve the results it needed, and by extension it is not like you ever hear that many people talk about the game. It is such a shame, there is so much here that is worth discussing, there is reason to remember this game and there is plenty of reason to want to explore everything about it, but yet this particular gem has failed to grab the attention it needed. This is also considering that the game sold better than a couple of the previous releases, in turn this leaves me confused and makes me wonder how this game has gone so unappreciated. I mentioned marketing earlier, and this really is the game’s biggest issue, around the time of release I don’t recall ever seeing any advertising there was nothing displayed through television for obvious reasons. To follow suit there was no online advertising either, it really was a case of Nintendo relying on their own crowds for attention and word of mouth which failed to spread from any reputable sources. Marketing has been a struggle for Nintendo with the Wii U generation and because of this many games have struggled and personally no gem has struggled as much as Maiden of Black Water with all things considered. Project Zero or Fatal Frame depending on where you live is a game that deserved more attention, all factors combined this game was brilliant and a true gem that deserved more appreciation. The problem however was that the game was built in a poor manner, it suffered from failed marketing and a weakness from its distribution platform. We all know that having a game exclusive to a platform is great, but in the case of this particular game it was a death sentence. 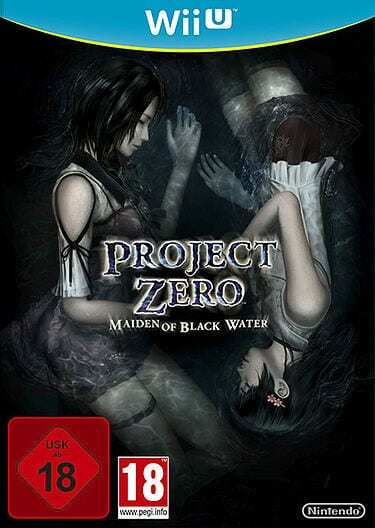 For all these reasons we have to completely consider it, Project Zero Maiden of Black Water is an unappreciated gem, it deserved more attention and given the opportunity I say every Wii U owner should give this game a go and shine light on it. This game deserved better and I hate having to consider this game an unappreciated gem, but it is there is no denying it.